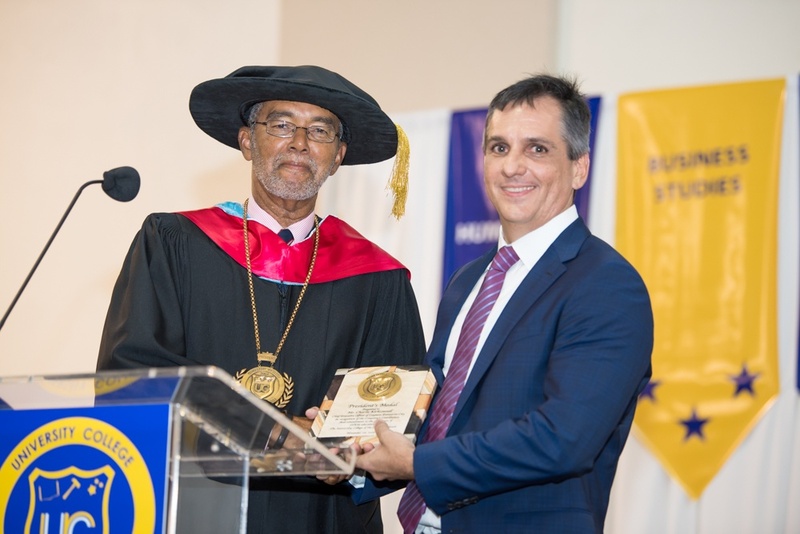 Grand Cayman, Cayman Islands (14 November 2018) – Roy Bodden, President of The University College of the Cayman Islands (UCCI), presented Charlie Kirkconnell, CEO of Cayman Enterprise City (CEC), with the President’s Medal at the 1 November 2018 Commencement Ceremony held in Sir Vassel Johnson Hall. The award was given in recognition of CEC’s longstanding and on-going commitment to supporting UCCI’s technology-driven programmes in science, technology, engineering and maths (STEM). The President’s Medal is an award nominated by the UCCI President and approved by its Board of Governors which is designed to honour special contributors and benefactors for supporting the growth and development of the institution. The award was the final award given by President Bodden before newly appointed Dr. Stacy R. McAfee takes on the role of UCCI President in January 2019. The award was one of only three President’s Medals awarded by President Bodden during his tenure, which began in 2009. 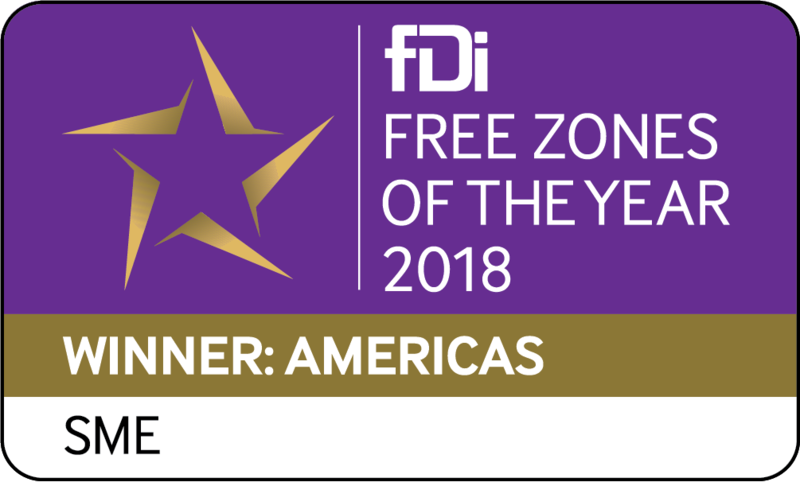 Since inception, CEC has been working alongside the Cayman Islands Government through the Enterprise Cayman initiative to actively support aspiring Caymanian innovators, including those who wish to re-tool for a career change through acquiring the specialised skills they need to fill the jobs that are being created within Cayman’s three special economic zones – Cayman Tech City, Cayman Commodities & Derivatives City, and Cayman Maritime & Aviation City. 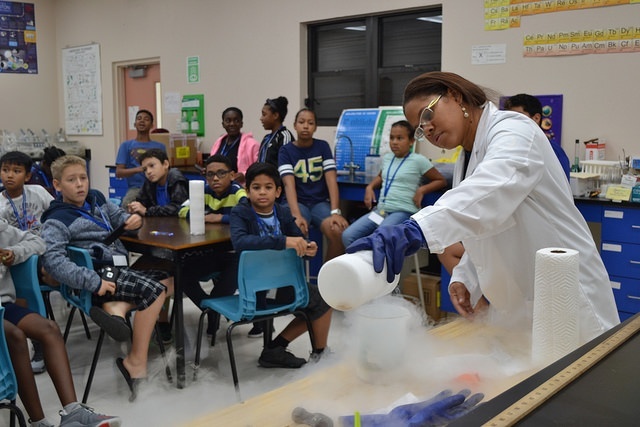 As an example of its work with UCCI, this summer CEC sponsored the expansion of UCCI’s STEM Summer Camp which offered a week long immersive STEM activities for aspiring scientists, inventors, mathematicians, engineers, entrepreneurs, and leaders. For more information about CEC’s Enterprise Cayman initiative visit www.enterprisecayman.ky or email innovate@caymanenterprisecity.com.